Detailing the physical features, habits, territorial reach and other identifying qualities of the Spiny Oakworm Moth. Oranges, brown, and purples - a collection of autumn's favorite colors - converge on the wings of the Spiny Oakworm Moth. 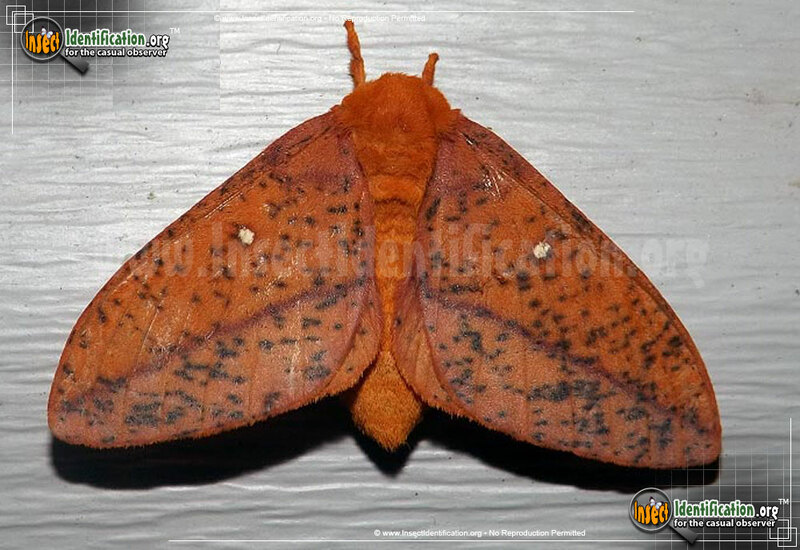 Spiny Oakworm Moths are a rusty brown color that can appear more orange in some individuals. The two-toned wings are orange-brown on the top half, and are separated by a deep purple line from the more pink-purple color on the bottom. The furry head and thorax are orange-brown as is the short-haired abdomen. Light purple-pink patches on the 'shoulders' are bordered with a dark purple line. A bright white dot sits near the center of each forewing. Black freckles cover most of the forewings and the lower edge of the hindwings. 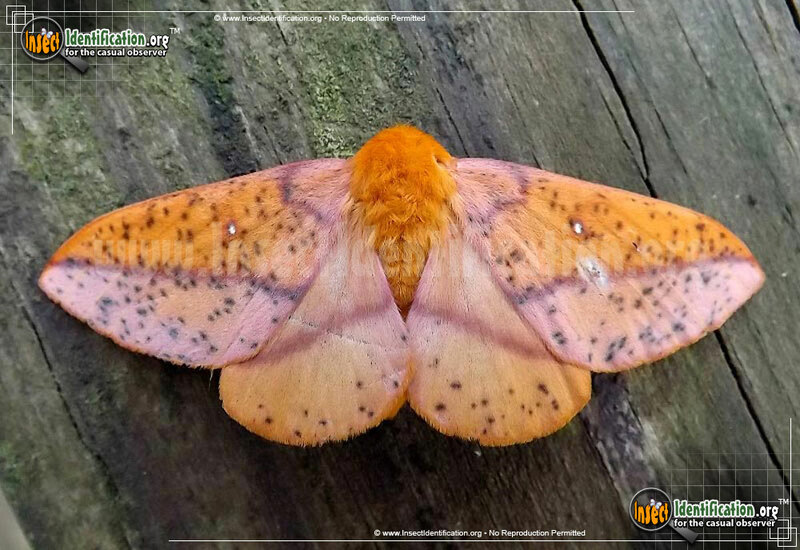 The caterpillar's body is brown and it has an orange-brown head. This worm-like larva is spiny, as its name suggests. Two black spines, or curved spikes, protrude from either side of a black line that runs down the back. There are exceptionally long spines near the head. The entire body is covered in white dots. Spiny Oakworms are voracious eaters of many types of oak tree leaves, often seen feasting in groups during their early life. One cluster can actually defoliate an entire young oak. They spend late summer feeding into mid-autumn, eventually becoming more solitary, and then move underground by winter to pupate. Mature oak trees can tolerate the aggressive feeding, but years of defoliation forces the use of stored energy and slows tree growth. The insect emerges as a winged adult in summer the next year.